Born on the Gold Coast, Daniel joined Southport Golf Club as a junior and remained a member until 2010. In 2010 Daniel, whilst studying a Sports and Golf Management degree with the PGA IGI and Griffith University, travelled to Malaga Spain representing Australian Universities in the World University Games. In 2011 he joined the team at RACV Royal Pines Resort home of the Australian PGA championship and completed his traineeship in 2013. From Royal Pines Daniel re-located to Northern Ireland in April 2014 to work as an Assistant Professional at Royal Portrush Golf Club, home of the 1951 and 2019 Open Championship, as well as home to the 2011 Open Champion Darren Clarke. During his time at Royal Portrush Daniel formed a great passion for teaching all levels of golfers, and receives great satisfaction in helping golfers achieve their goals. Mitch started playing golf at the age of 5 at South West Rocks before joining Concord Golf Club in 1999 where he is still a member. Mitch started working at Monash Country Club 2010 and is currently the Assistant Professional Monash Country Club. At the Graduation ceremony of 2018, Mitch was awarded the NSW PGA Trainee of the Year award. A fantastic achievement which recognises both academic and playing components of the program. Mitch represented Concord Golf Club in Eric Apperly and major pennants and was the Club Champion three times. He was also a member of the NSW Junior and Colts teams. Mitch was the Australian University Games Gold medallist for golf in 2012, 2013, and was a Tournament member of the PGA in 2006, 2007 and 2008. He completed a Bachelor of Health and Movement degree in 2014. Adam grew up on the Northern Beaches and started playing golf when he was 7 years old. He became a junior at Monash at 17. After winning the Monash Masters, Club Championship and Major Pennant, he then captained the NSW men’s state team and was selected in numerous teams to play for Australia, including the Eisenhower Trophy. After competing internationally and finishing 5th as an Amateur in the NZ Open (beating Tiger Woods) and reaching world No 2 in the US Golfweek Amateur world rankings, at the end of 2002 Adam turned professional. As a Touring Professional for Monash, in his first year Adam was awarded “Rookie of the Year” on the Asian Tour after finishing 14th on the Order of Merit. Adam has played on many of the major tours but spent much of his career on the European and Asian Tours. He recorded two second place finishes on the Asian Tour and numerous top 10’s on both tours, including the BMW in Shanghai and Italian Open. Adam also competed in the 2007 British Open and held a tour card overseas for 14 years. Since retiring from the Asian Tour, Adam’s passion has shifted to coaching and spending more time at Monash sharing his knowledge with members and juniors. Adam also loves taking other keen golfers on unique and tailored golfing trips. Adam has played with some of the world’s best golfers and brings a wealth of golfing experience to his coaching. Jenny started playing golf at the age of 8. She grew up on the south coast and received a scholarship at Concord golf club when she was 15. Her impressive amateur career saw her represent NSW and Australia on several occasions and also hold a scholarship with NSWIS (NSW Institute of Sport). In 2015 Jenny completed her PGA traineeship being awarded 2nd place nationally for academics and also nominated for trainee of the year. Upon completion of her traineeship she was employed as the assistant professional at Bayview Golf Club. She currently is a certified PGA member with an advanced status in coaching. She is also Trackman and TPI Certified. Her passion is coaching golfers of all levels with her focus being simplicity for consistency. Harry grew up in the coastal country town of South West Rocks in NSW, his father Dwaine introduced him to the game of golf at age 14 and has developed a great passion for the game. Harry was successful as a junior at South West Rock GC winning the Junior Club Championship and representing the Mid North Coast Golf Squad in State Junior Championships. 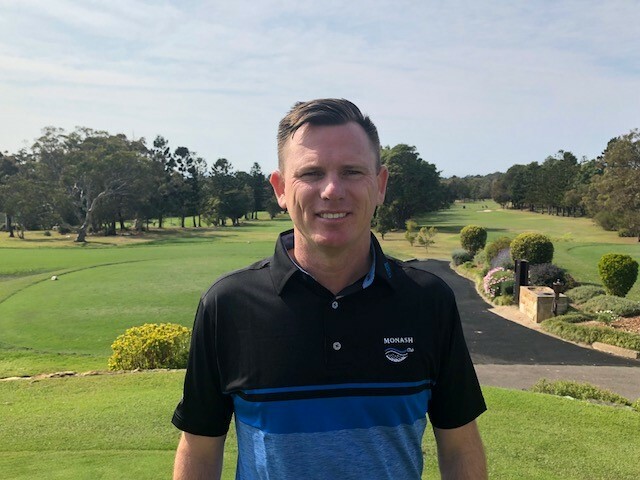 After completing year 12 studies in 2015, Harry moved to Sydney to pursue a career as a golf professional and became a student of the PGA IGI program based at Monash Country Club, Harry received a full scholarship from GOLF NSW for the program. 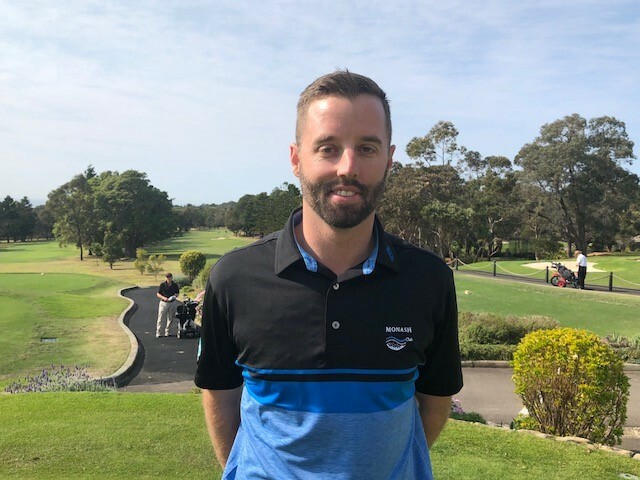 After graduating and receiving a Diploma of Golf Management, Harry re-located to Melbourne to continue his PGA Studies at the PGA Centre for Learning & Performance based at Sandhurst Club. After successfully completing the program and receiving his Diploma of Sport Development. Harry commenced his 3rd year as a PGA trainee professional to continue towards becoming a PGA member. 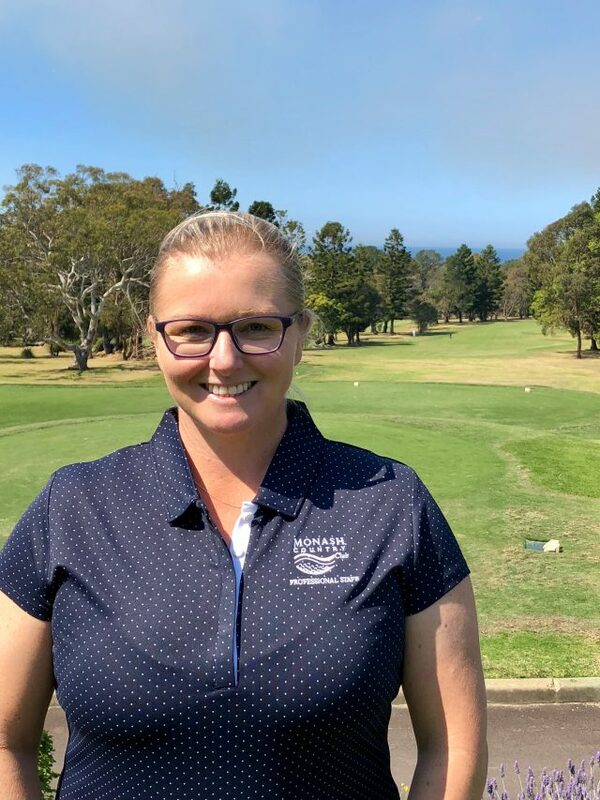 Jo has been involved with golf since 1996 when she started at the Jack Nicklaus Golf School as Student Services Manager in Sydney. She then spent 11 years as Events Manager at Terrey Hills G&CC, organising Corporate Days and Functions. Jo has worked at Monash CC since 2012 and in that time has developed a real passion for golf and ladies fashion.